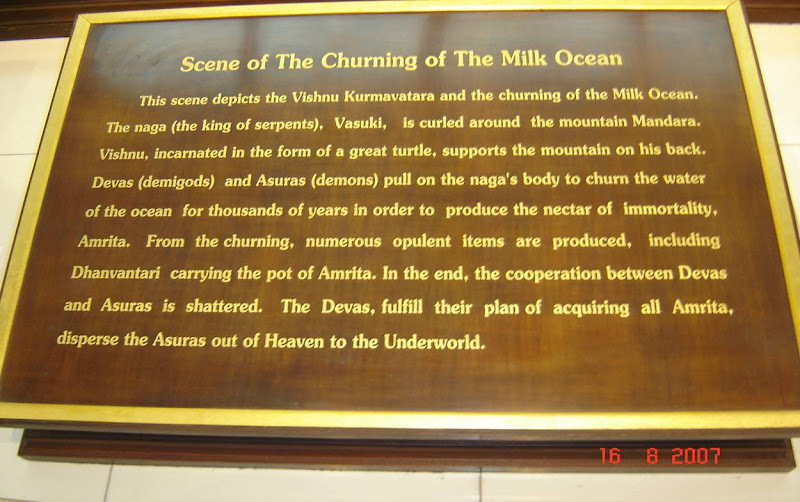 This scene depicts the Vishnu Kurmavatara and the churning of the Milk Ocean. The naga (the king of serpents), Vasuki, is curled around the mountain Mandara. Vishnu, incarnated in the form of a great turtle, supports the mountain on his back. Devas (demigods) and Asuras (demons) pull on the naga's body to churn the water of the ocean for thousands of years in order to produce the nectar of immortality, Amrita. From the churning, numerous opulent items are produced, including Dhanvantari carrying the pot of Amrita. In the end, the cooperation between Devas and Asuras is shattered. The Devas, fulfill their plan of acquiring all Amrita, disperse the Asuras out of Heaven to the Underworld. 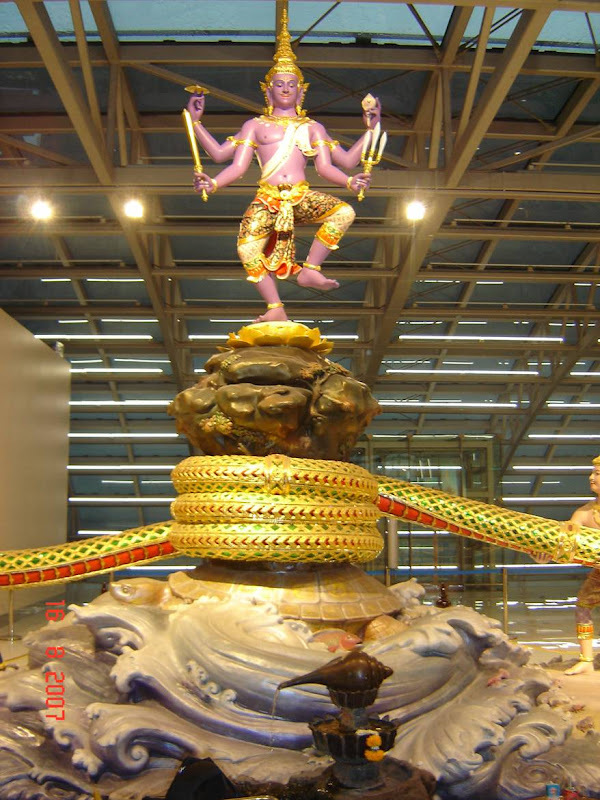 In Bangkok , Thailand , there is new international airport called Suvarn-bhoomi. 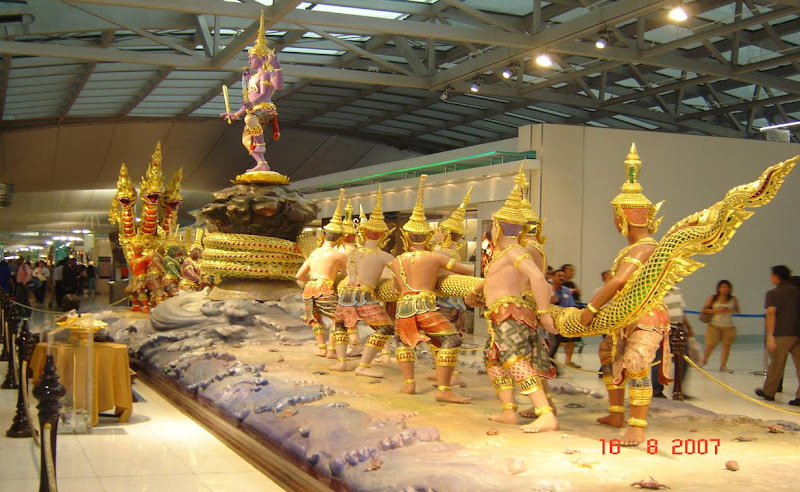 Last year I was at this airport, when I went to Thailand. I was delighted with this trip. I managed to visit many interesting places, for this I rented a scooter http://catmotors.net/mae-hong-son-loop/. Most of all I liked "Tham Lod Cave" - it's a flooded cave, in which move on bamboo rafts. There I made a lot of interesting photos.